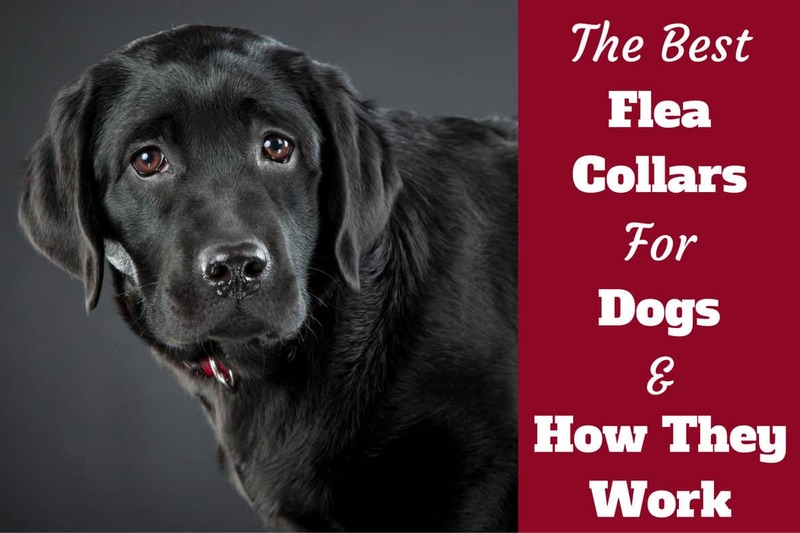 Best Flea Collars For Dogs - Plus How They Work, Should You Use One? Home REVIEWS	Best Flea Collars For Dogs, Plus How They Work, and Should You Use One? If someone told you there existed a magical item you could wear that held within it the ability to repel things that pester and annoy you, would you put it on? Of course you would! You’d wear that thing to work, on public transit, to the gym and the club. What a wonderful gift from above it would be! Sadly, no such talisman has been wrought for people (though I do own a few really tacky shirts). For dogs, however, this miracle exists. It’s called the flea collar and it might just be your best friend’s new best friend. Note: Some of The links above take you to more information, current prices and customer reviews on Amazon. How Does a Flea Collar Work? Is a Flea Collar Right for My Dog? Of course you’re probably saying to yourself, “the flea collar is nothing new.” And you’re absolutely right. The first flea collar was introduced in 1964, the invention of an entomologist named Robert Goulding Jr. Mr. Goulding was researching and developing ways to enable domestic animals to dose themselves with insecticide, and the collar came out of that project. For many years, the flea collar was the method of choice for ridding cats and dogs of pesky fleas. Many other flea control products have come on the market since including sprays, dips, spot on treatments, and oral medicines. But the good old flea collar has stuck around, and remains a popular choice among pet owners. Ok, I confess, flea collars do not incorporate any form of magical powers. Still, it’s pretty amazing to think about what’s going on within such a simple-looking device. 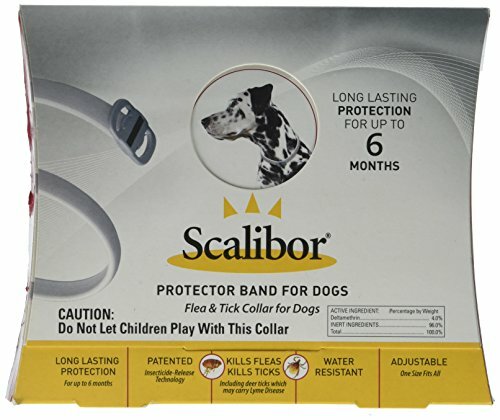 The actual collar is made of plastic, and is designed to be flexible and durable. After all, it has to survive life on a dog! A good, modern collar also incorporates antioxidants to help protect it from the harmful effects of the sun. All collars employ some form of insecticide to either kill or repel fleas, or both. Repelling collars emit a gas that keeps fleas away from the dog. Killing, or treating, collars secrete insecticide onto the dog’s skin. From there the dog’s natural oils spread the insecticide around the body, creating a layer of protection. There are situations in which a flea collar may not be the best choice for your Lab. 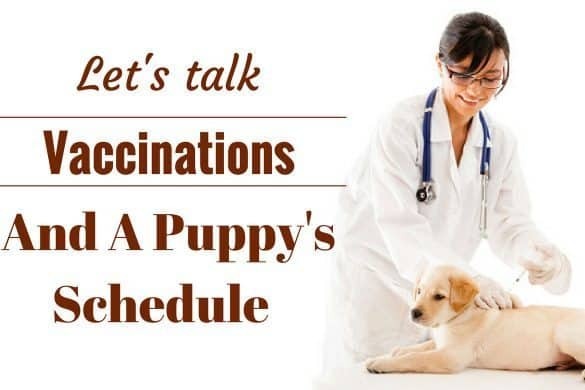 For example, if your dog is pregnant or nursing you’ll want to explore other options to avoid exposing the puppies to toxins. For multiple dog owners, you may wish to avoid flea collars if your dogs are given to play fighting. Dogs that engage in horseplay often go for the neck and scruff, which would give them a muzzle full of flea killer. Not ideal. If you have little children in the house this is not the flea control for you. Flea collars leave small amounts of residue on the dog and their bedding. Children are prone to putting their hands in their mouth, and this is not where you want insecticides to end up, even those that purport to be safe for humans. In fact, it’s a good idea for anyone to wash their hands after handling a flea collar, or after engaging in close physical contact with a dog wearing one. Right off the bat, you can forget about a flea collar if your dog simply won’t tolerate wearing one. My dog despises his collar – unless he’s being taken for a walk immediately! After that, he’s clawing and scratching at it until it’s off. 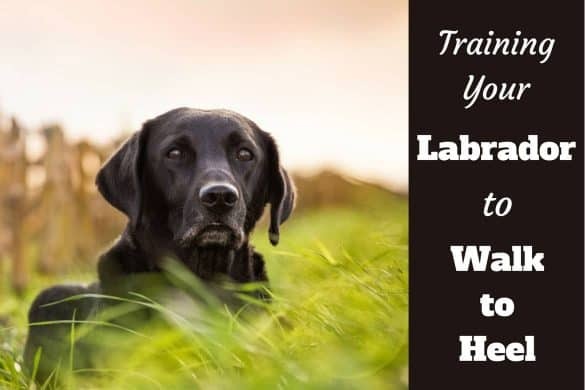 Most Labradors love going in the water, and if you encourage these aquatic tendencies with frequent visits to the lake, you’ll want to either have a back-up plan, or use an alternative method. Many flea collars rapidly lose their efficacy when they’ve been submerged. 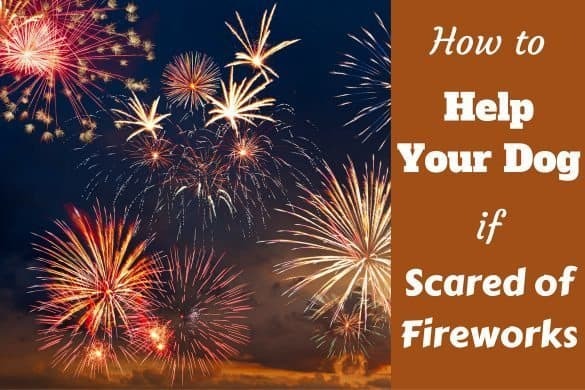 For those living in a climate that cools off significantly in the winter (sadly, I am one), fleas are not a year-round problem. A long-lasting flea collar might make it through the entire flea season in these regions, and a “set it and forget it” approach is great for busy people who don’t want to reapply treatments monthly. If you have a predominantly outdoor dog, flea collars are a great option. They are always “on” and you don’t have to worry so much about the transference of insecticide to your furniture as you do on an indoor dog. Some dogs won’t take oral medicines no matter how well you hide them, and others have such sensitive skin they can’t tolerate the direct application of a spot-on treatment. 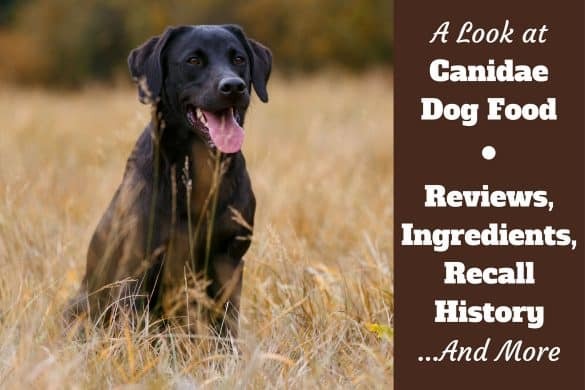 If your Lab falls into one of these categories, flea collars are your best option. First off, make sure you buy a collar the right size for your Lab. 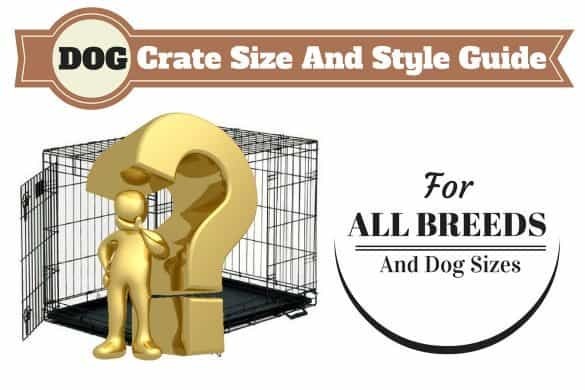 Choose a ‘large dog’ size for your full-grown dog. The collar needs to fit snugly to ensure good contact with the neck, but should still be loose enough to get a finger or two underneath. Choose a long-lasting collar to get the most out of your purchase. Convenience is the number one reason to choose a flea collar; why would you want to change the collar more frequently than necessary? Make sure to choose a collar that deals with both fleas and ticks to maximize our protection. Avoid cheap collars that may use low-grade materials. Buckles and the collar itself need to be made of quality stuff to withstand an active Lab. A collar is useless if it won’t stay on your dog! Check the box carefully to see what the active ingredients are. What you don’t want to find is Tetrachlorvinphos (TCVP). TCVP is a neurotoxin that attacks the flea’s nervous system. While all insecticides should be handled with care, TCVP has been shown to be particularly unsafe for humans and animals alike. The flea control market is ripe with choices for the concerned pet owner. 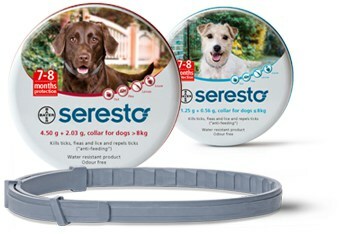 Seresto brings together all the ingredients you want to see in a flea collar: effective pesticides with low toxicity for dogs; long-lasting protection; breakaway technology to prevent choking; water-resistant enough to survive a few accidental immersions. This is a great choice for a Lab owner. This is a great choice for a Lab owner. It’s water resistant and odorless, and promises to kill ticks and fleas for 6 months. Even if you live in a year-round flea zone, that’s just 2 collars for a full year of protection. This is a one-size-fits-all product that needs to be trimmed to length. Yes, this means a little extra work, but it also means that if it works well for your dog, you can use it for life. This is a one-size-fits-all product that needs to be trimmed to length. Yes, this means a little extra work, but it also means that if it works well for your dog, you can use it for life. 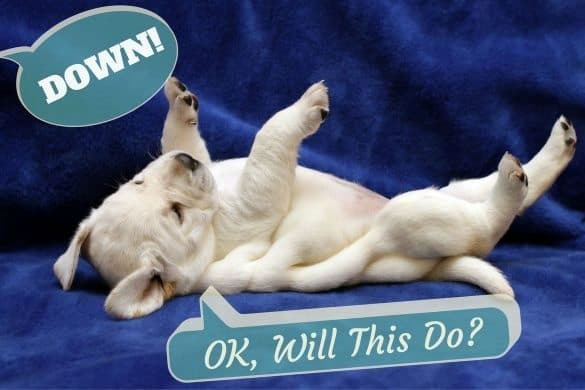 In the fight against fleas (and this is a fight you definitely want to win!) there are numerous tools at your disposal. A flea collar might just be the secret weapon in your arsenal. Flea collars offer good, convenient protection and for some Labs, they’re strong enough on their own. For others, they make a great supplement to any existing anti-flea regimen for those times when the pests are out in force. Fight the good fight, readers! Whole Lotta Shakin’ Goin’ On: Why Do Dogs Shake?